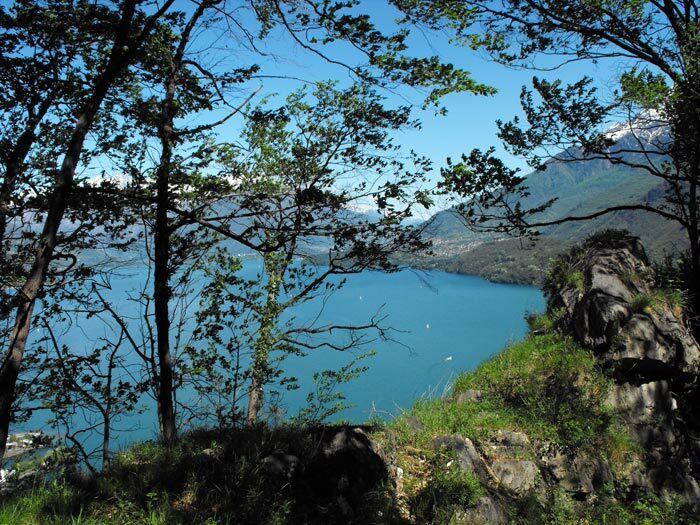 On the western shore of Lake Como we meet the town of Musso, the ancient village houses are situated on a quaint little bay, behind the town lies a huge rocky spur called the Stone of Musso. 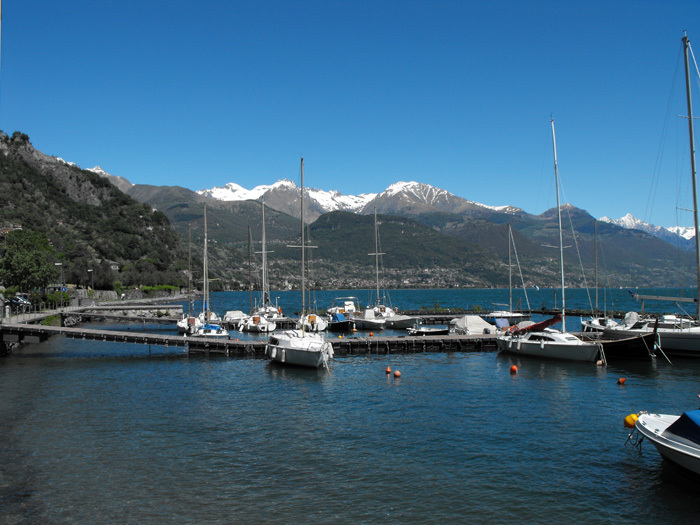 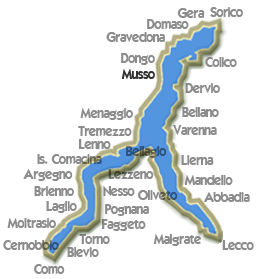 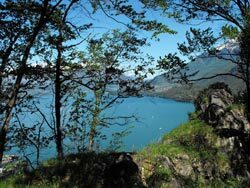 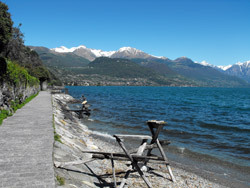 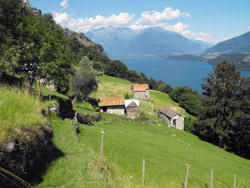 The Commune of Musso extends from the shore of Lake Como to the hamlets on the slopes of Mount Bregagno. 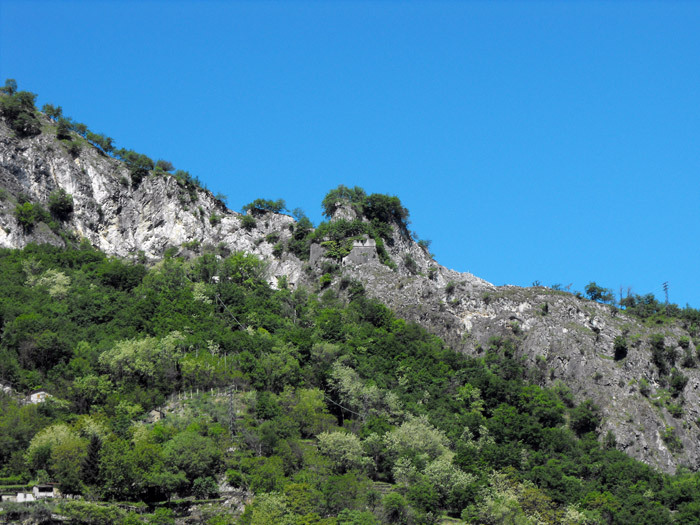 The country owes its origin to the ancient quarries of white marble, that were already processed and exploited in Roman times. The Cathedral of Como and columns of San Lorenzo in Milan were built with this precious material. Musso is a town rich with history: in the thirteenth century the area was the feud of Malacrida family, allies to the Duchy of Milan. 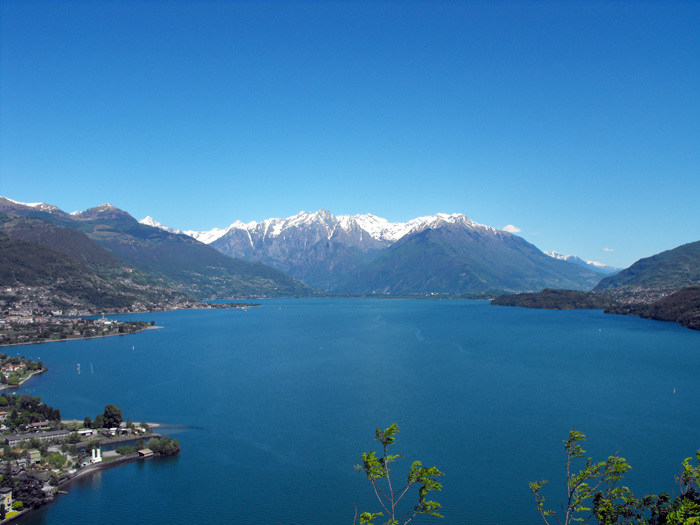 In 1522, Gian Giacomo Medici, called the Medeghino, stormed the castle and enlarged the fortifications, in a short time conquered all the lands around the lake Como and a part of Brianza, was defeated ten years later by the Sforza, allied with the Swiss Grisons. In the historic center of Musso there is the church of Saint Biagio, formerly dedicated to Saints Nazario and Celso, built in the parish in 1387, on the inside, as well as valuable paintings and frescos, are preserved crests and tombs of the Malacrida family. 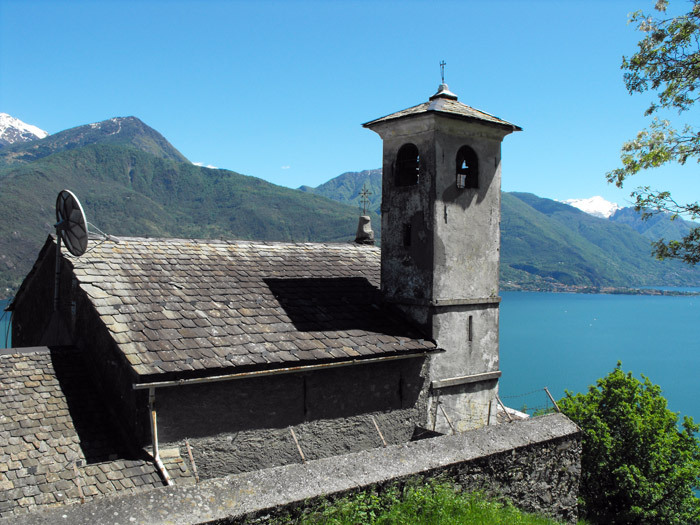 Not far from the Sasso di Musso in a wonderful position stands the church of Saint Euphemia, that was built over an ancient pagan temple and included in the walls of the castle. 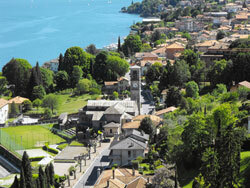 It was spared from destruction during the siege of 1532 and it was remodeled in 1662. On the slopes below the church of St. Euphemia in 1858 the nobleman Giuseppe Manzi built the famous Garden of the Merlo, for some years a destination for tourists and travellers, rich with exotic plants, galleries, fountains and hanging bridges. 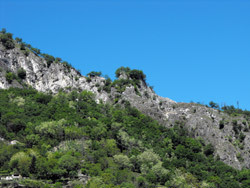 Some structures of a natural amusement park are still visible today.